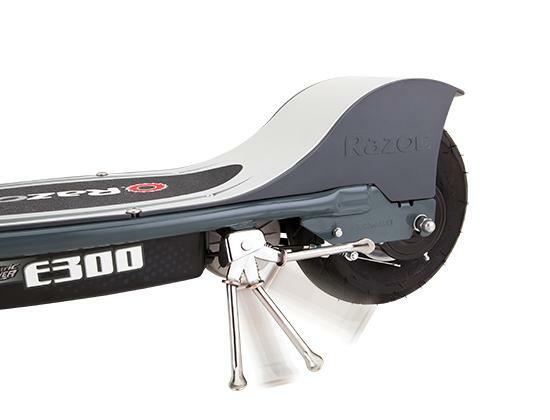 Since 2000 when Razor first invented their first scooter, they have attempted to create “the next best scooter”. At first, they were standard kick-push scooters, but they soon moved into creating electric powered scooters. One of their newest is the Pocket Mod Euro. It is a scooter that is well beyond the push start scooters that the company started with. If you are wondering whether they are worth it or not, read our Razor Pocket Mod Euro review. The Pocket Mod Euro is a vintage inspired scooter with the upgrade of a chain driven electric motor. This means that it runs quietly and smoothly on its 12-inch pneumatic tires and rear suspension system. This scooter can travel up to 10 miles on a single charge, even if you are running at the scooter’s top speed of 15mph. 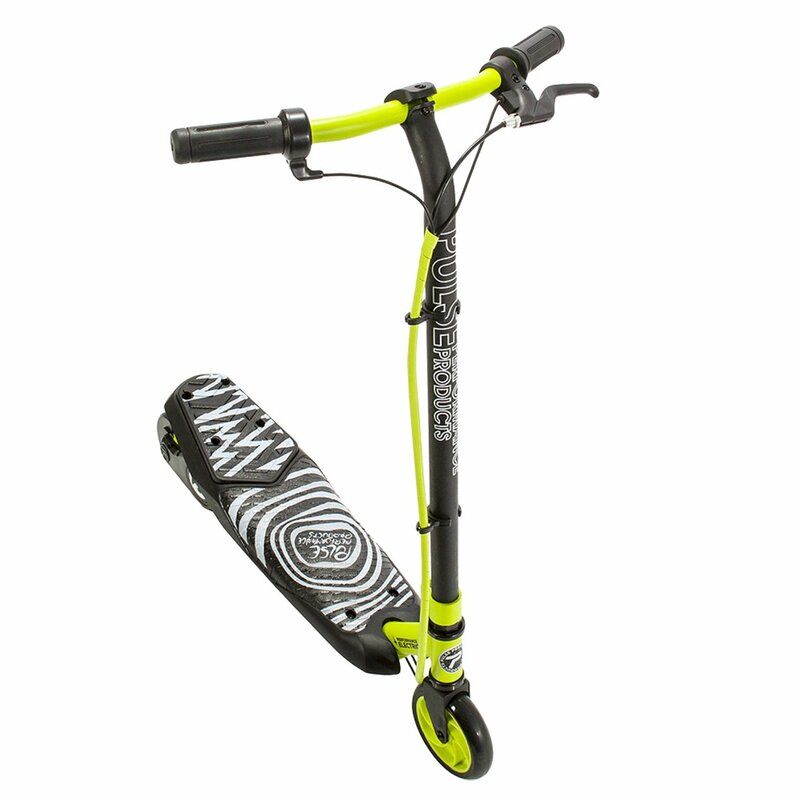 The battery is built in and it is one of the fastest Razor scooters available. 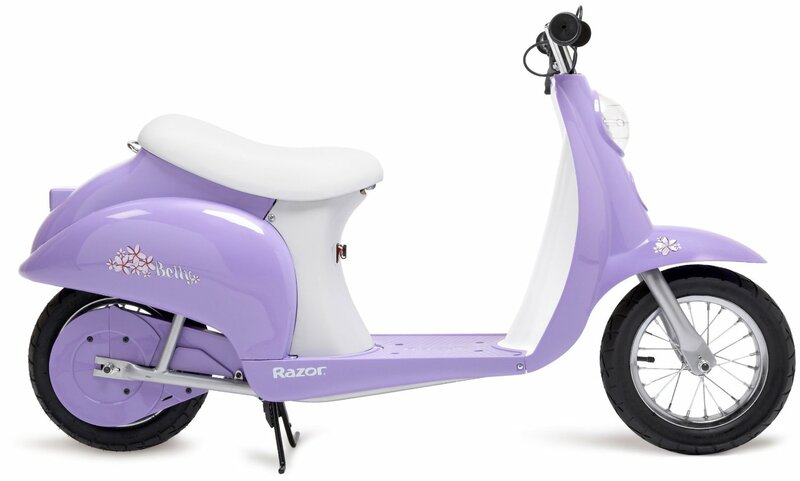 The one feature that truly sets it apart from all other Razor scooters is the way it looks. It has a full seat for riders to sit on and a full headlight that is placed on the front fender so that you can travel during the evening hours. It has an on/off power switch. 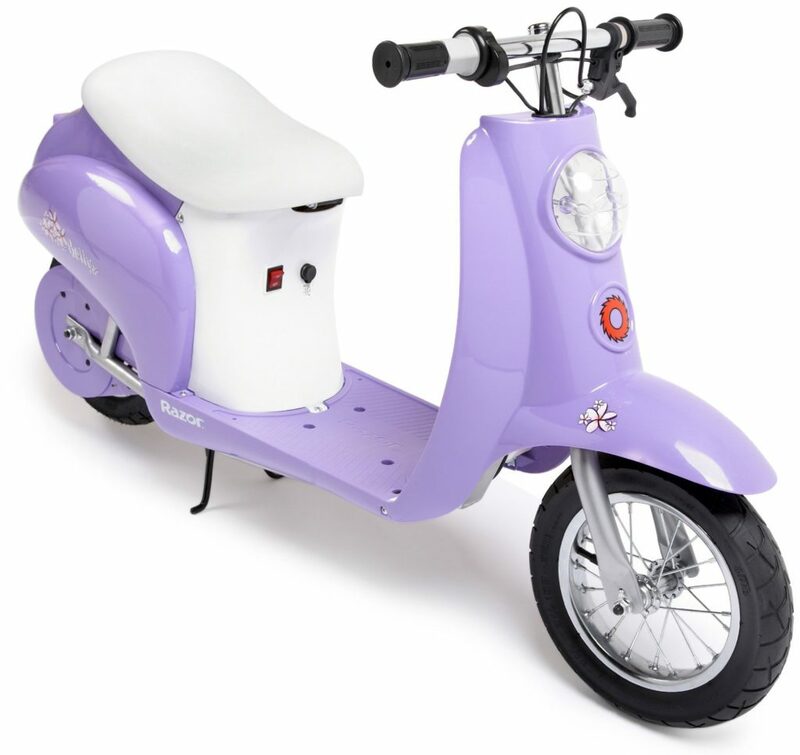 It is a stylish scooter instead of a few bars and a deck for you to ride on and it is a style which appeals to a variety of people. 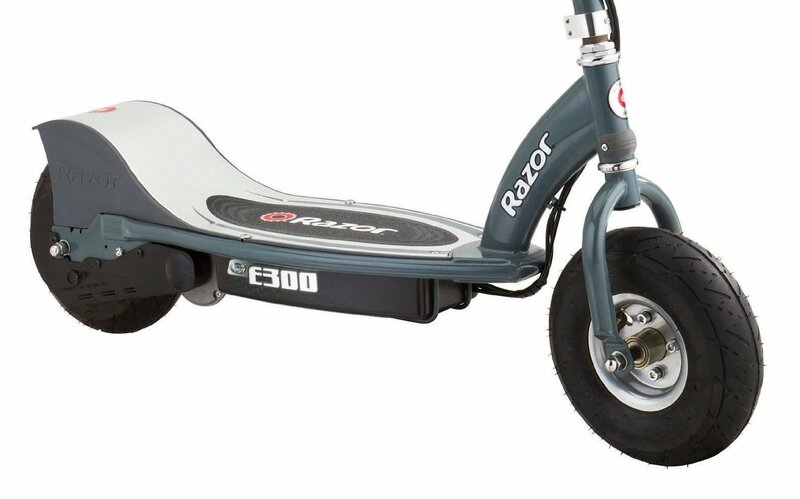 This scooter is intended to be used by anyone that is 13 years or older. The maximum weight limit of it is 170 pounds and it comes with a 90-day warranty to help ensure that it is right for you. The Pocket Mod Euro scooter is available in four beautiful, bold colors. You can choose from these four styles: Betty, Sweet Pea, Vapor, and Hot Mod. Each one ideal to suit your personality and preferences. All styles have an under the seat storage area. If you choose the Sweet Pea design, you will also receive a bell and handlebar streamers. To sum up how most people feel about this battery powered electric scooter, you have only to look at the numbers. Out of more than 1,050 reviews, it holds a 4.5-star rating. 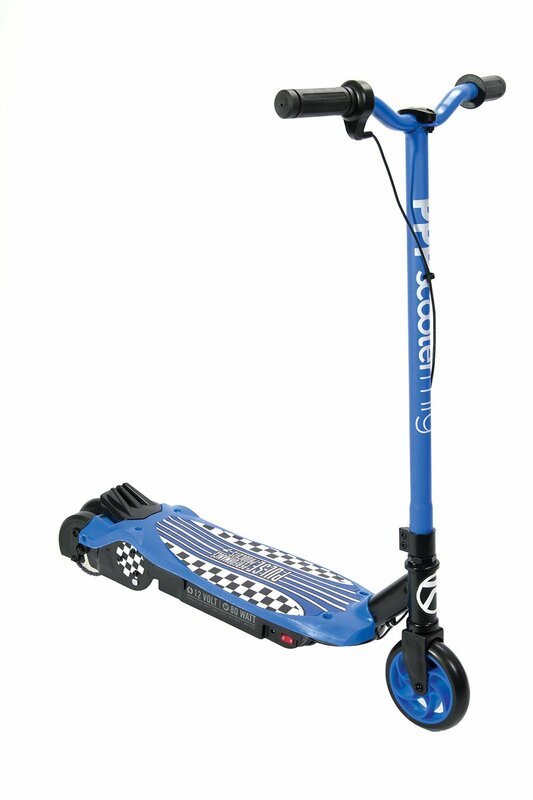 This is higher than all other Razor scooters available. 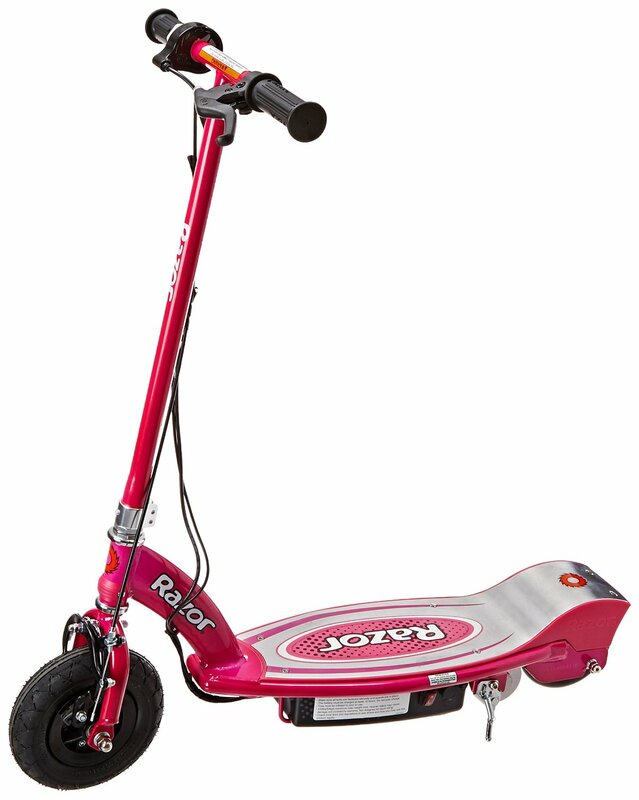 Parents who have purchased this scooter for their children cannot say enough good about how well their children can handle it. Most say that as long as your child can ride a bike, they can handle the scooter. However, they must be responsible enough to know how to handle it because it is a trotle-operated machine. That is why the recommended age is 13, but kids of any age can ride it. As for adults, the only true downside to it would be whether you are tall. A tall rider may have some difficulty riding it comfortably. Most people are not disappointed by the fact a full charge only lasts for approximately an hour. The reason for this, according to most, is that the time frame is an hour continuous riding and very few people, especially teens, will ride it nonstop for that amount of time. Of the few negative reviews, most are centered around the battery. They say that the battery is defective because it does not hold a charge properly or that the battery freezes during the winter and stops working completely. Most of the charging issues with electric scooters are because people do not charge them completely. If you fail to charge it properly, your battery will suffer. That is why most scooters have a warning on them that you must charge to full before taking it off the charger. Is the Pocket Mod Euro by Razor Worth It? The bikes that you will find available from Yukon are designed to be affordable. They have long lasting batteries and top of the line materials throughout. 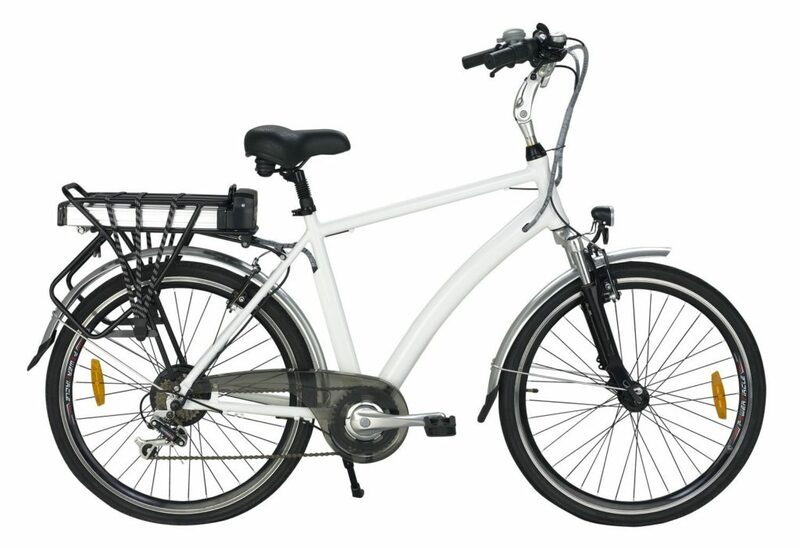 That is why so many people are taking a good look at their newest addition, the Sport Hybrid bicycle. Take a look at our Yukon Trails Xplorer sport hybrid electric bike review to find out if it is what you are truly looking for in an electronic bicycle. This e-bike is affordable, stylish, and extremely usable. It is a versatile bike that you can take with you on any adventure, whether you are running errands or going on a long trek through the woods. The 35V 10Ah LIFEPo4 battery pack is removable so that you can take it off the bike and into the house for easy charging. It is a Lithium Ion battery pack. This bike can reach speeds of up to 15 mph using the 250 watt, 36 brushless alloy motor. The motor location is in the rear hub, where you will also find alloy double walls on the rims. The tires are made by Kenda and measure 26 x 1.75. It has a 7 speed Shimano shifter. There is also a controller with a speed sensor so that you can use the pedal-assisted system. There are even rear and front Tektro V-brakes brakes so that you can stay in control at all times. This bicycle can go approximately 25 miles on a single charge. However, you should keep in mind that this depends on the size of the rider and the terrain you are riding on. If you are heavier and riding over hills in dirt, you will not go as far as someone who weighs less riding on sidewalks. What Do Owners Say about the Yukon Trails Explorer? Of the votes that it does have, it holds a rating of 3.9 stars. There are plenty of owners who say that they have not had any issues with it, as a new bike or after they have used it for a while. They love it because it is affordable and dependable. As an added bonus, most owners do give it a high rating. Is The Yukon Trails Hybrid Sports Bike Worth Buying? Many do not realize that the popular scooter brand, Razor, also produces motocross bikes for a variety of young people everywhere. 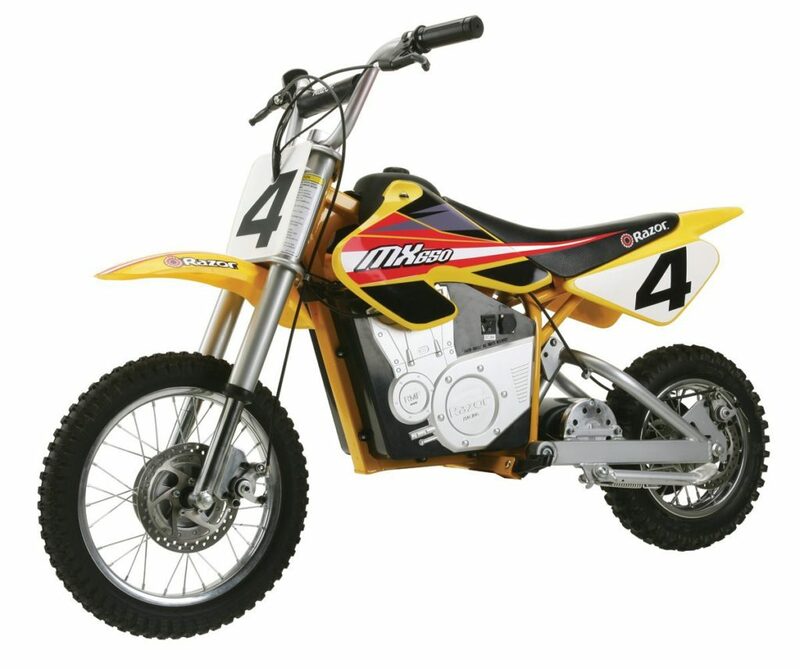 The Razor MX650 is one of the fastest available battery powered motocross bikes. More speed comes at a price though, and many people want to know if it is worth it to pay extra for this bike over others that Razor produces. Here is what we discovered in our Razor MX650 Rocket electric motocross bike review. What Sets the MX650 Apart from Other Models? One of the biggest differences that you will notice between the MX650 and others of its kind is the power. It uses a 650-watt electric motor so that riders can travel at speeds up to 17 mph. The motor is chain driven and quiet when powered on, yet still offers variable speeds. 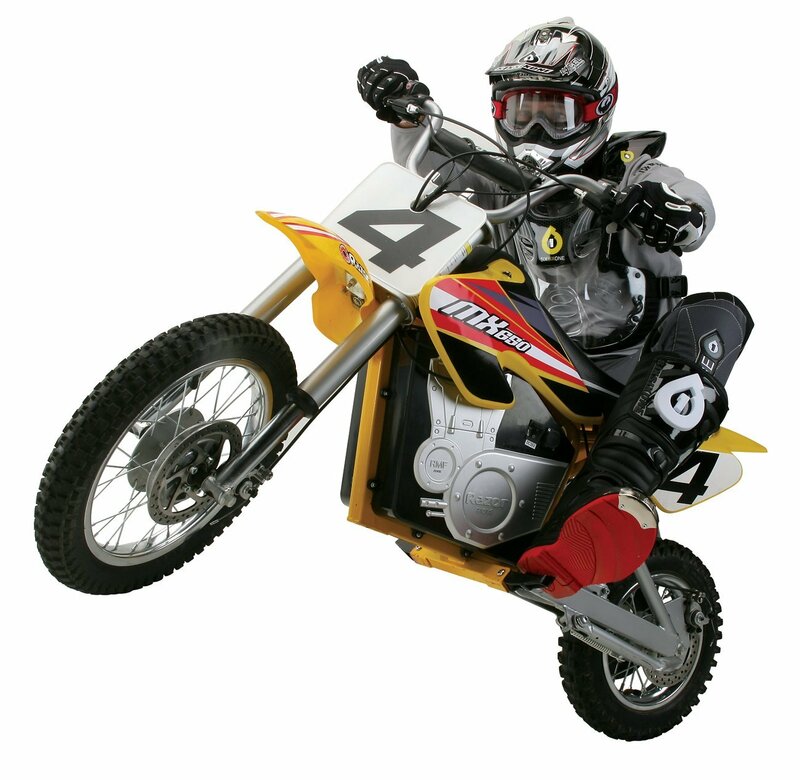 It is the motocross bike that can get you where you want to go quickly. Another big difference is the recommended age for use is 16 and it can hold anyone who is under 220 pounds. This means that even most adults can ride on it if they want. It has the same dual suspension setup with the riser handlebars as a standard dirt bike which ensures your comfort. These features tie in well with the authentic dirt bike frame that the MX650 offers. It also has large pneumatic knobby tires. 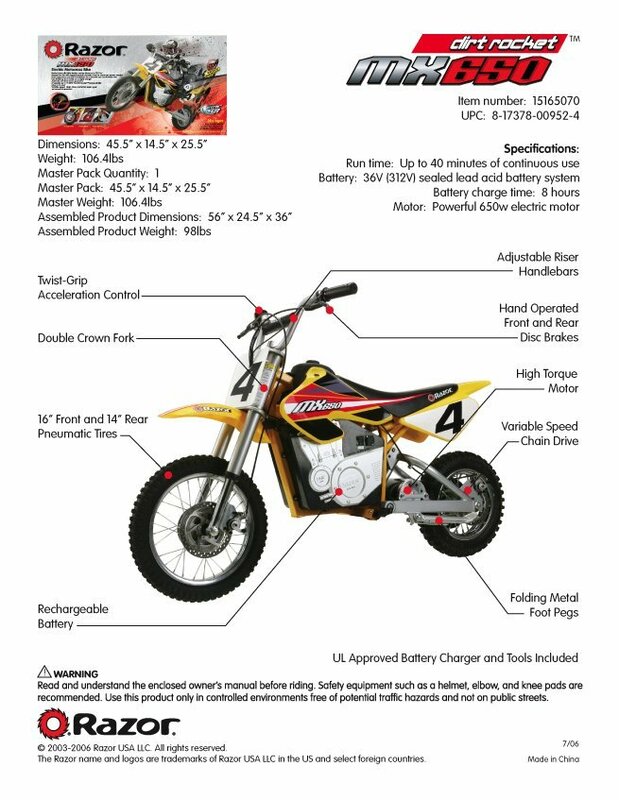 Double crown fork and dual disk brakes make this as close to an actual dirt bike that is offered in an electronic bike. Charging the battery can take up to 12 hours, depending on how far it has been drained down. The good news is, with a full charge, you can travel for up to 40 minutes continuously. The dimensions of this bike are 56 x 24.5 x 36 inches. Are Owners Impressed with the New MX650? Some of the lighter weight owners say that it can go faster than the 17 mph that is advertised. They say it is more like 20-22mph instead. Parents enjoy the fact that there is virtually no noise. Parents also like the fact that many kids have taken a tumble with the bike and so far, no damage has been done to the rider or the bike itself. Some owners do say that the recommended age is 16, but they feel it is more suitable for a kid that is 9-12, especially if that child has prior riding experience. Everyone enjoys that it is designed to ride off road. People use this bike for a variety of activities. Some use it in campgrounds when they venture out into the woods, as it does not make enough noise to bother others. Some use it around the house if they have a lot of land to ride on. It is used by kids of all ages and even a few older adults. The batteries do stop working over time if it is used often. Daily riders may have to replace the battery after a couple years, but most people feel that the small price of a battery is worth it, if they can ride this bike more often. Is the MX650 Something You Want? The Outlaw SS by Prodeco was one of the first electric bikes to be considered the “muscle bike”. The new and improved version is available in candy orange metallic and performs as good as it looks according to many. Is it the bike you have always dreamed of owning? Take a look at our Prodeco V3 Outlaw SS speed electric bicycle review to find out. The V3 Outlaw is able to run at a consistent 28 mph for up to 20 miles on a full charge. This is due in part to the 750-watt rear direct drive hub motor. It is able to deliver 1200 watts at its peak. The fact it is a direct drive motor means that you do not have a lot of moving parts inside of the motor. It also adds resistance to the bike if you pedal without using the motor. This bike has a double-crown magnesium suspension form. This is paired with SRAM 8-speed mid Derailleur gears and an X9/X0 drive train. It also has Avid Elixir 5 hydraulic disc brakes and the Avid 200MM HS1 rotors. These are the most impressive brakes to ever be on an electric bike within its price range. The bike frame has a lifetime frame warranty and comes with a 2-year warranty for components. It is made of aircraft grade aluminum to ensure it is durable enough to keep up with you no matter what you want to do. However, it is still designed with comfort in mind. It features leather grips and Gyes leather saddle. It also has frame mounts for you to carry a water bottle. This 26” bike is made in Florida. When you receive it, the bike is easy to assemble. All you have to do is tighten a stem bolt and insert the seat post. It meets all USA specifications and it is quality tested before it ever leaves the warehouse. The Prodeco V3 Outlaw does have pedals so that you can ride it like a normal bicycle if you want to. This can extend the battery life further and it can also help you if you fail to notice that it needs to be charged. Do Owners Love the Prodeco V3 Outlaw? Most owners love the V3 Outlaw. However, it does hold a 4.1 rating because of a couple issues that people have experienced. The one truly negative review is from a person who was unhappy with the customer support team. All other buyers say that the customer service team is wonderful to deal with. Some other issues also have to do with flat tires upon arrival and other minor issues that are easy fixes. Other people say that this is the greatest bike ever. Most say that it runs great and that it is a beautiful bike. This has lead to many who would happily recommend it to others who wanted to give an electronic bicycle a try. Most people even say that it is one of the most affordable bikes available for all that it has to offer. 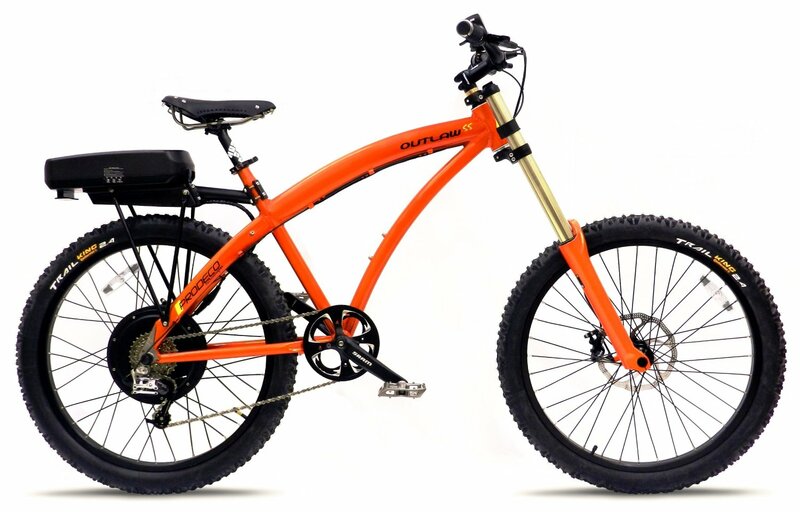 Is The Outlaw E-Bike Something You Want? Pulse Performance scooters are made in the USA and promise to make people of all ages pleased that they decided to give scooters a try. If that isn’t enough information, we have done the legwork for you and we have discovered what makes them great and what makes them not so great. One of the best features of a Pulse scooter is the power that they have behind them. Most have chain driven motors that can travel 8+ mph. 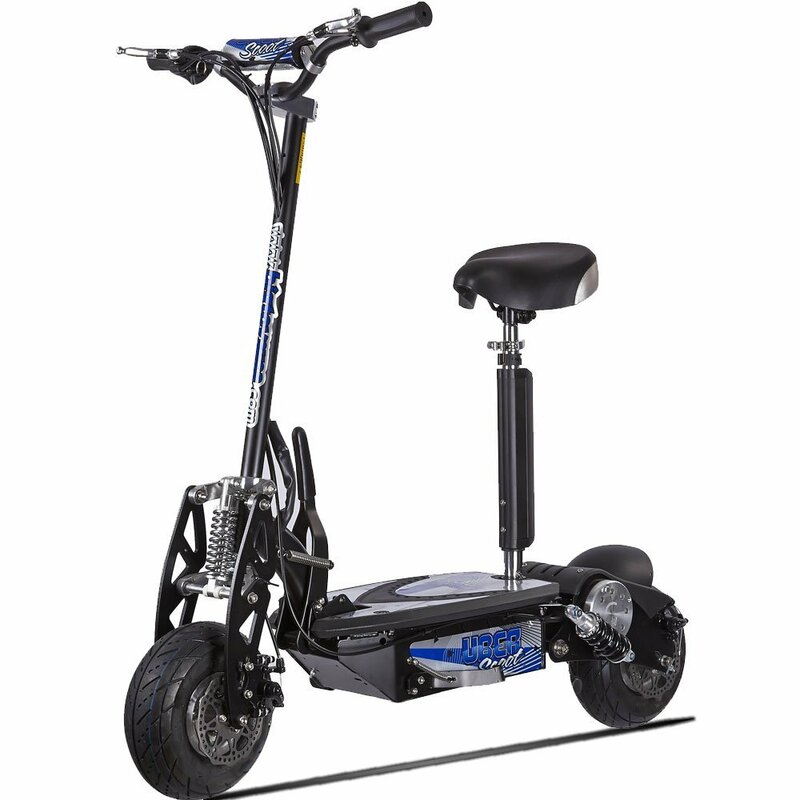 They have 12-Volt rechargeable batteries that can give a ride time of 50 minutes or more depending on the size of the rider, where they are riding(terrain), and how fast they are going. They have handlebars so that parents can feel safe letting young children ride on them and use push-to-go technology followed by a thumb throttle and rear foot brakes. These features further increase the safety of them. 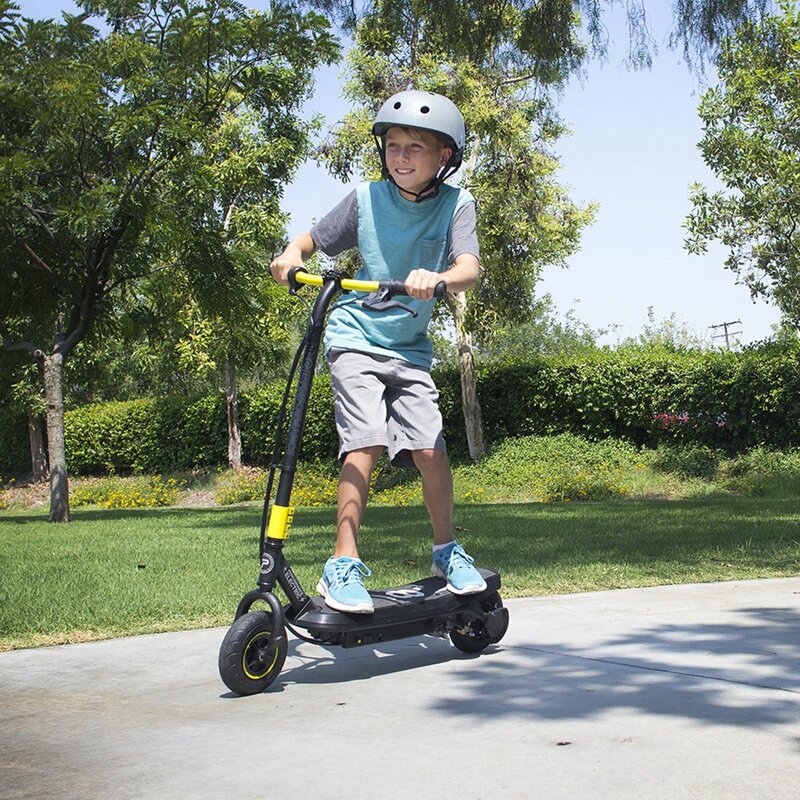 One of the best sellers is the Pulse Lightening Electric Scooter, but there are others that are also great according to many parents. To find out more about why owners love them and perhaps why they don’t, you should take a look at the reviews below to see what each may have to offer your family. When it comes to self balancing scooters, many people feel unsteady on them. Many prefer a little larger standing area. The Airwheel Electric Skateboard promises to help you feel more stable, even if you have ever stepped on a skateboard before. The question is; is it as dependable as a scooter and does it make most people feel more stable? The Airwheel skateboard gives you the surfing experience anytime you want it, regardless of where you are. This is because it moves freely while you stand on it with one foot in front of the other, leaning slightly if you want to turn in one direction or another. It may be more difficult to use if you have never been on a skateboard, but this does not mean that it is impossible to do. You just may have to practice a little more before you take off on a trip to the local skate park or errand run. 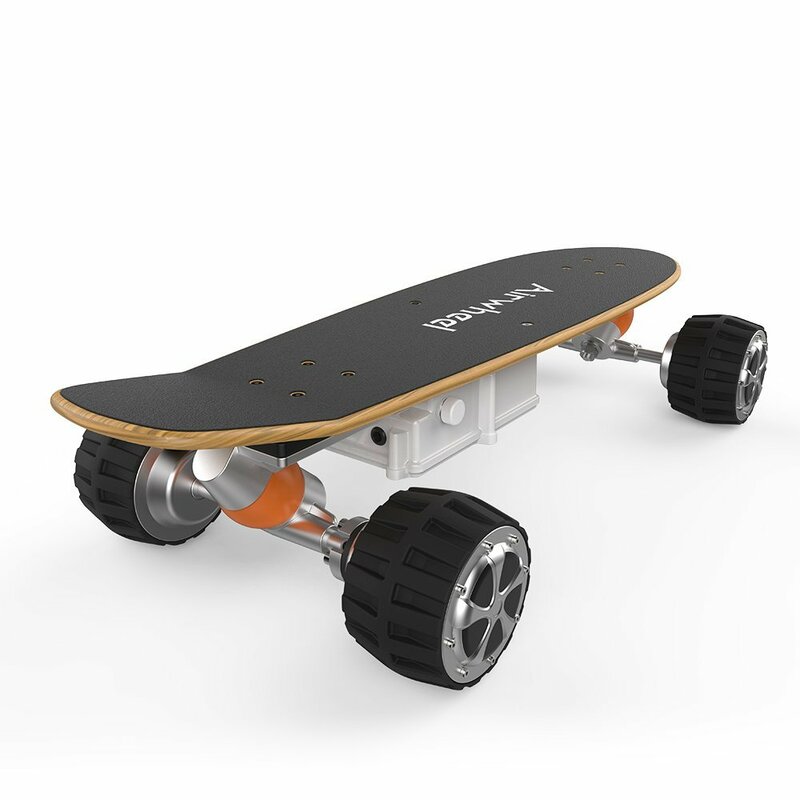 This skateboard is controlled by a wireless remote that the rider which provides full control over the board and it is also bi-directional which means you can go forward or backward. It also ensures that you keep both feet on the board, not one attempting to push off for more speed. 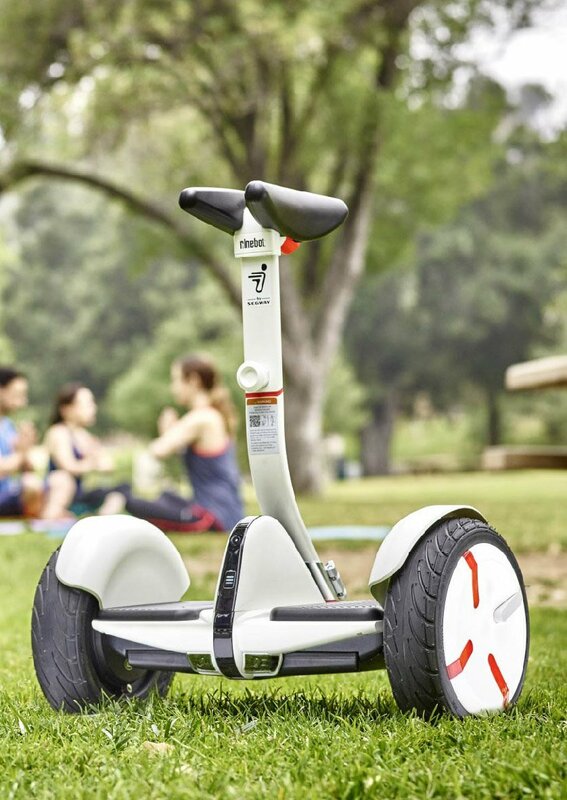 The Airwheel electric board can also connect to a smart phone App so that you can listen to your favorite tunes while you are riding along. The board is completely wireless so you do not have to worry about getting tripped by cords. It has larger all terrain rubber tires which have built in damper masses. Both aspects give you more durable tires and more stability. They are also less likely to skid than other electric boards. This skateboard has the ability to go up to 12 mph. This will vary based on how much you weigh, your riding skills, the road you are on, and more. It takes only 120 minutes for the battery to reach a full charge and a single charge will enable you to go around 10 miles. This will also depend on your weight, the speed you are traveling, and other things. The board itself has a 1-year warranty. The tires are covered by a 1-month warranty and the batteries are covered for 6 months. This skateboard is the best electric skateboard according to many owners. Most say that it is a lot of fun to ride and they promise that you will not be disappointed in your investment. The only issues that current owners mention is that over time, it can become slow to start moving. This is why it holds a 3.7-star rating with only a few reviews. 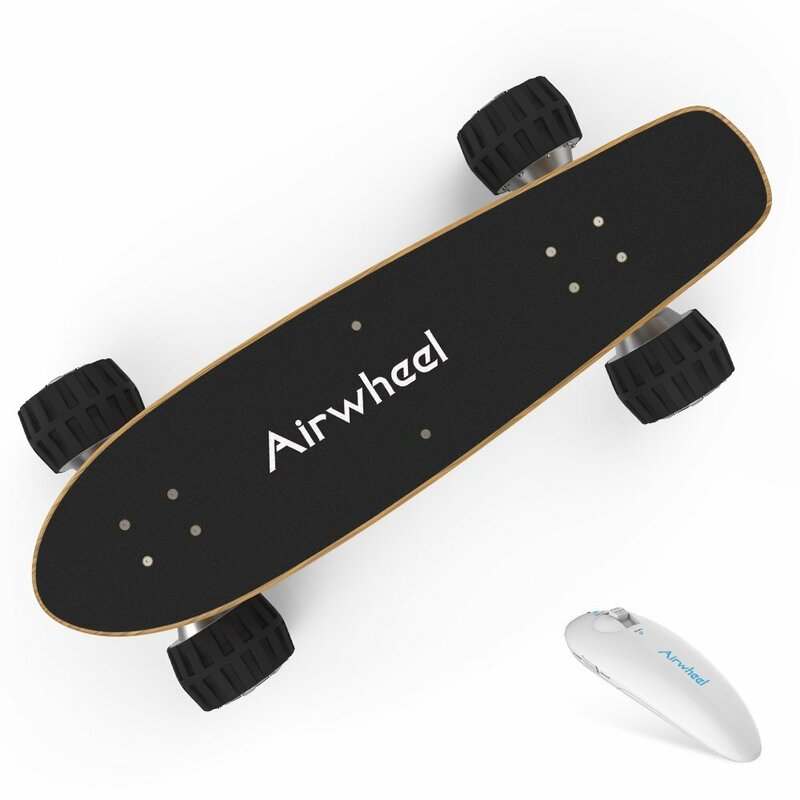 Is The Airwheel Skateboard Worth the Price? 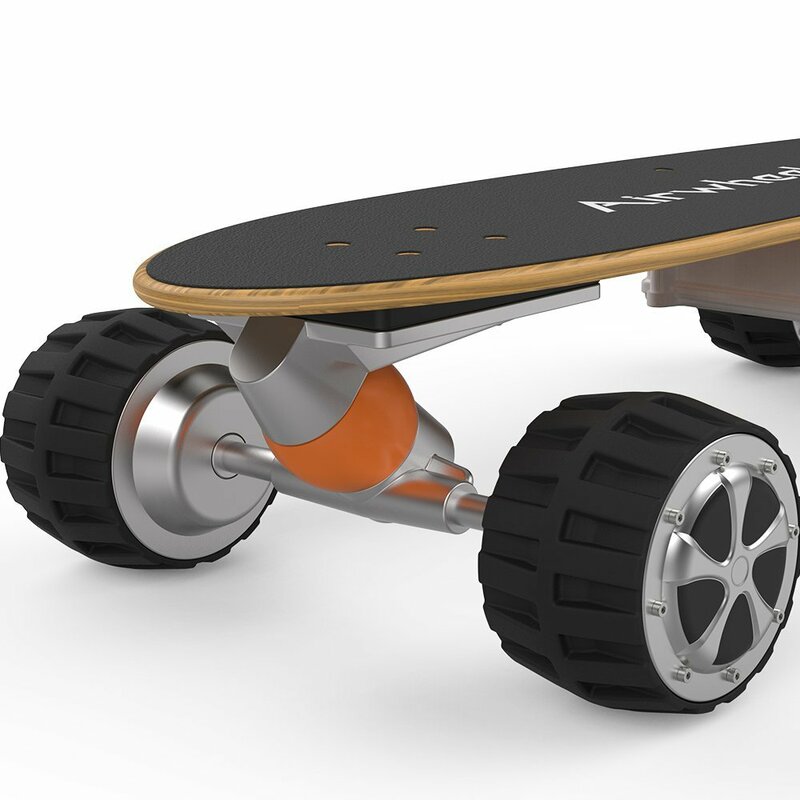 The Evo Powerboard by Uberscoot promises more speed and a longer drive time. However, many people are not certain that it will be all that they could want for it to be. We took a good look at the Evo so that you will not have to guess anymore. 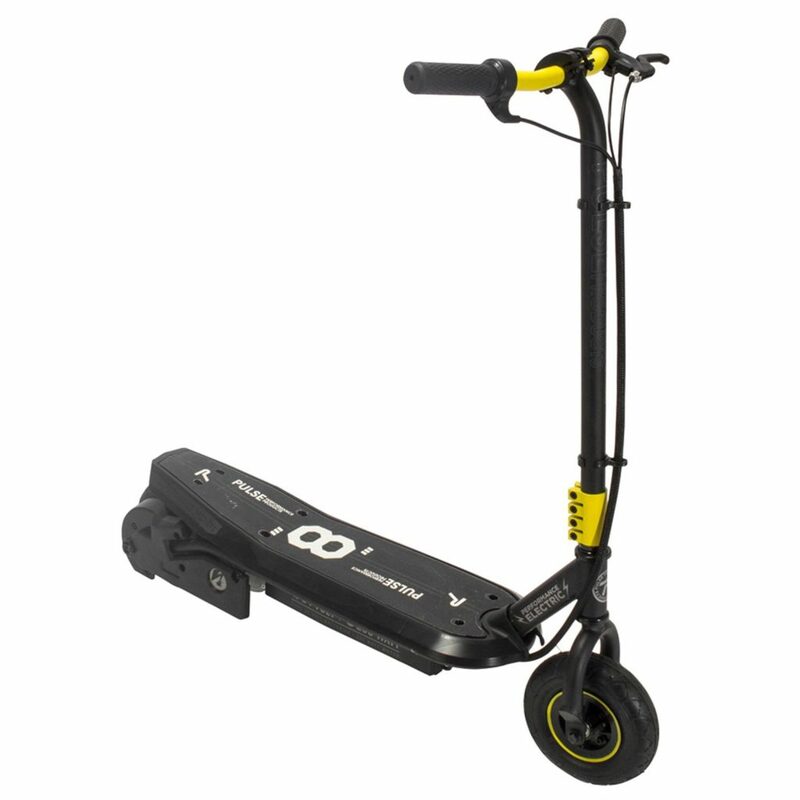 To see what it has to offer, keep reading our UberScoot 1000w electric scooter review. The Evo Powerboard uses a chain drive motor that is rated at 1000 watts. This gives you the power to go where you want at speeds that will astound you. The top speed for this electric scooter is 24-26 mph. However, it does depend on the weight of the rider as to whether it actually goes that fast. 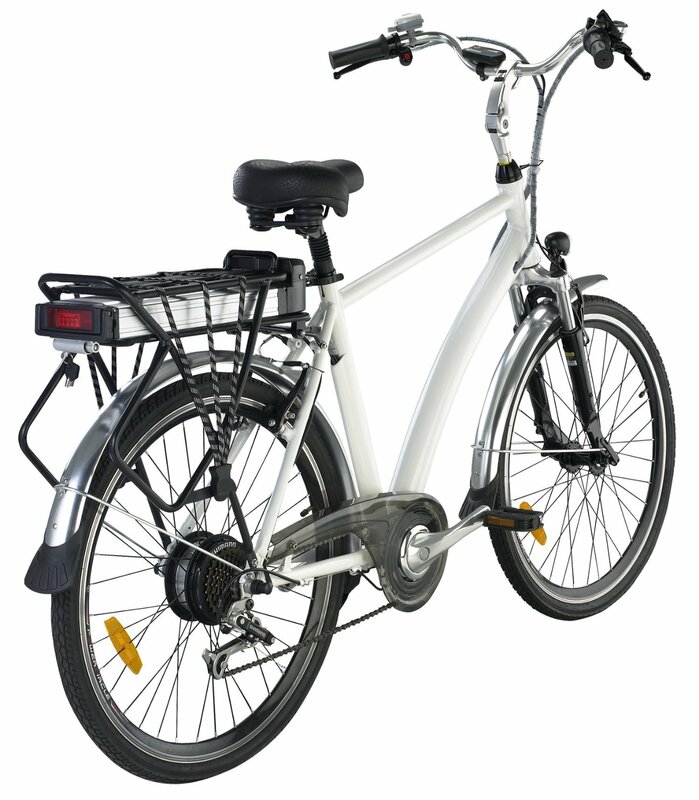 It is powered by three 12V/12AH batteries and the battery life expectancy is 250 cycles. 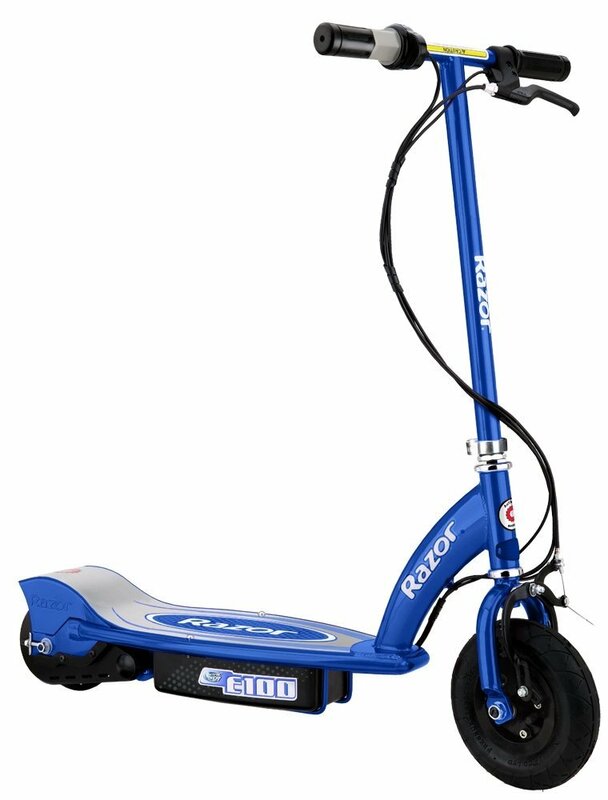 You do get the charger with your purchase and when you first receive the scooter, and you should expect it to take 4-8 hours to charge the batteries to full capacity. 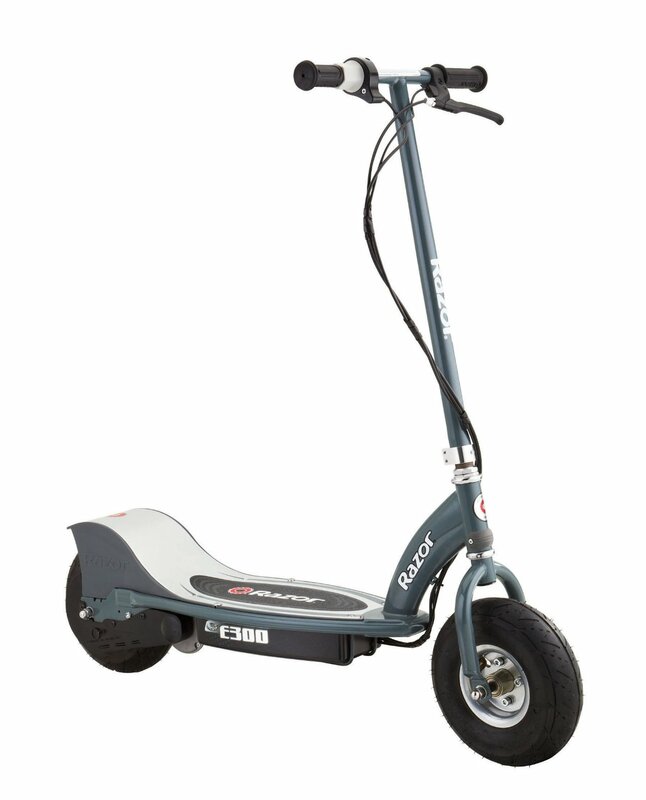 The Evo 1000 watt electric scooter uses both front and rear disk brakes. This gives you plenty of stopping power for the 10in pneumatic street tires. It is recommended that children be at least 12 years old before they ride. The maximum load limit for it is 265 pounds. This makes it ideal for adults who want to run errands to the store. This scooter is heavy. When shipped it weighs in at 99 pounds. However, when it comes time to store it, you can fold it up to store it in an out of the way area. This scooter uses handlebar controls and has a seat for you to sit on while you are riding as well as a deck that is large enough for your feet to sit on comfortably. How Does The EVO Compare to Other Scooters? 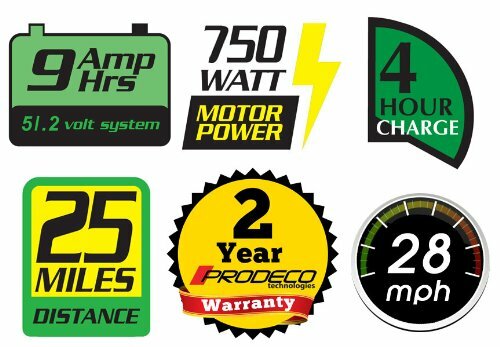 With all the electric scooters available, it makes sense that you will want to know how the Evo Powerboard measures up. First, you must understand that it is one of the few 1000w chain driven motors available. It has more speed that other scooters, even those that cost a good bit more than it. It also features a turbo button to give you an extra bit of speed. It is designed for adult users, which is why it has a higher maximum weight capacity than others. This scooter also has a quick release seat attached to increase your comfort and the scooter’s safety. Is The UberScoot 1000W Electric Scooter Worth It? 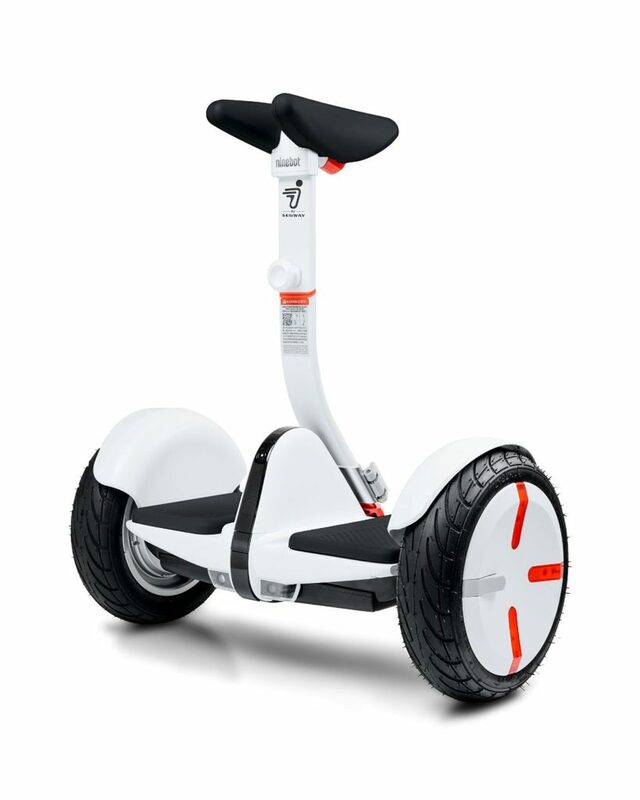 Segway is a very popular brand of scooter and they have a variety of styles available. One of the most talked about, though, is the MiniPro. Is it the scooter for you and your family? Will it get you where you want to go? Read our S﻿egway MiniPro review to find out. The Segway MiniPro has several features that people enjoy. However, the fact that you can control it using a f﻿﻿ree ﻿mobile﻿ app, is ranked near the top of the list. With your smartphone, you can put a lock on so that no one can steal it, adjust the speed, customize the lights, run diagnostics, and get firmware updates. It can safely carry a person that is 220 pounds, but yet it remains lightweight and easy to carry. 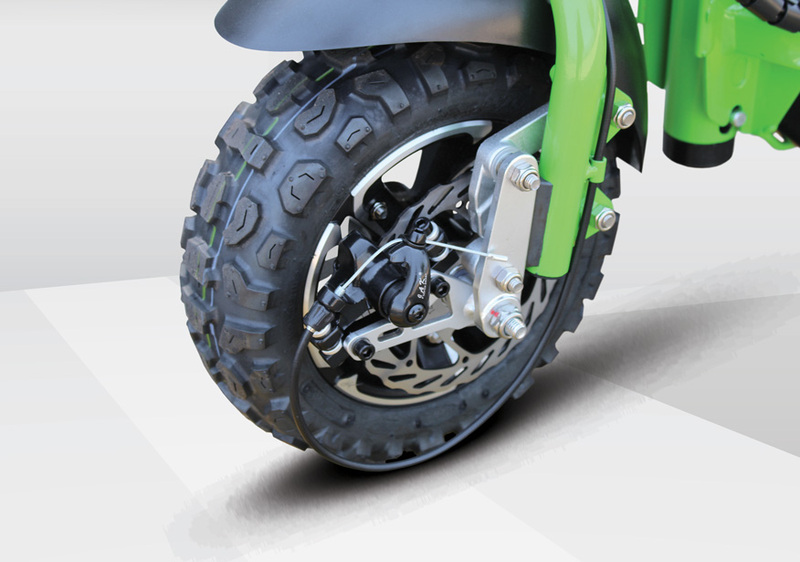 This is because it is built using durable aircraft grade magnesium alloy for the frame and air filled tires. It is shock proof thanks to the military grade shocks. This means if you run over bumps, you will practically never feel it. Just because it is a Mini Segway, you do not have to think you are sacrificing power. 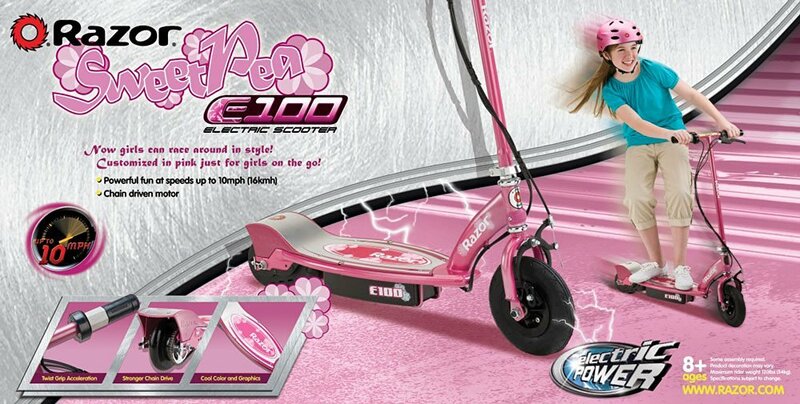 It has a dual motor that provides 1600 watts of power so that you can safely reach its top speed of 10mph. It can also travel up to 14 miles before needing a charge as long as you start out with a full battery. What Makes the Segway MiniPro Special? 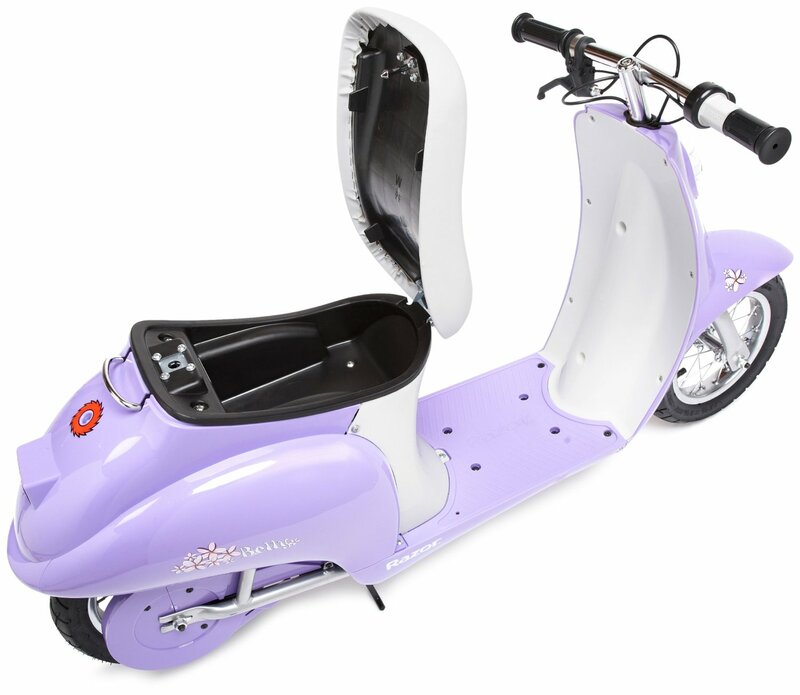 One of the nice things about this scooter is the fact that it has a padded knee bar. This ensures your comfort and gives you more ability when it comes to precision steering. This makes it more comfortable than other hoverboards or electric scooters. It provides more control and that is always a good thing, especially on a self balancing Segway.